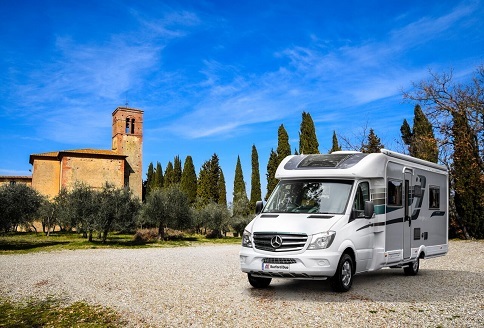 This year sees the Auto-Sleeper Malvern Mercedes Benz 2019 Mercedes Benz luxury motorhome continue. In fact, the Mercedes Benz luxury range gets even better and now includes a 7-speed automatic gearbox with Paddle-Change, Integrated Navigation and Truma habitation air conditioning. 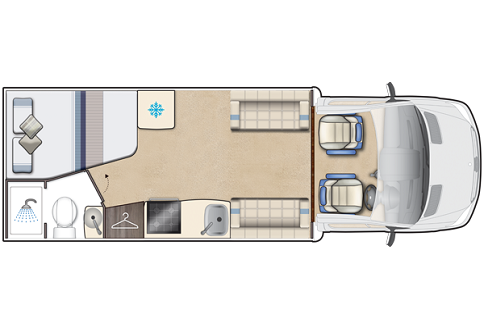 All very welcome features for the flagship, luxury range. 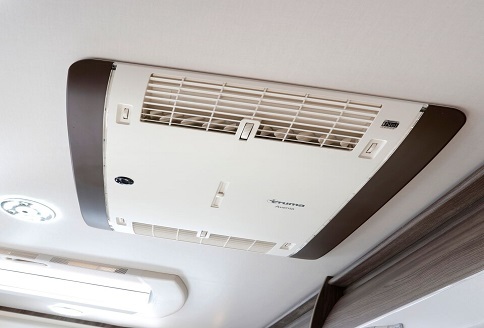 As so many owners are requesting Mercedes chassis, automatic transmission and efficient Habitation air conditioning, these fabulous features fall in line with customer expectations. A 25-litre refillable gas tank is standard and 2019 sees the welcome return of a hard-wired reversing camera. 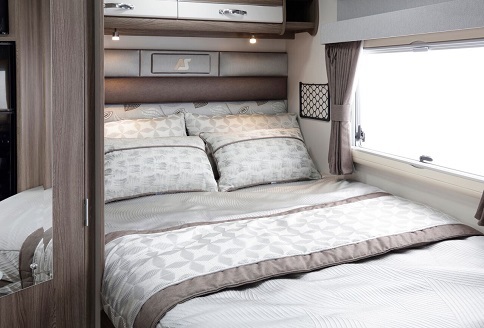 The Malvern has a very practical layout that provides many key features. 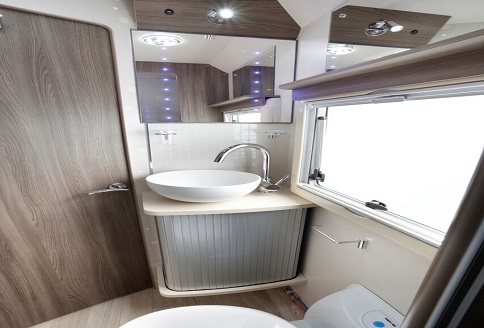 With a front lounge, fixed rear bed, great kitchen and separate shower cubicle, it has it all. In fact, the lounge area is easy to convert into a large double bed too and also provide real home comforts too. 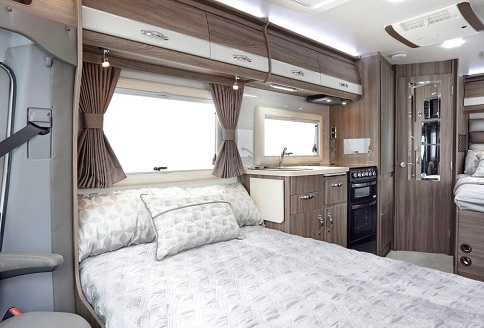 What a layout, the Malvern has got the smallest details down to a fine art. 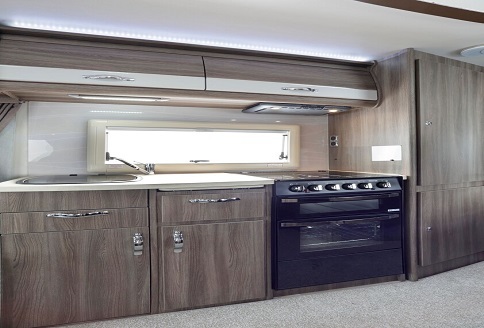 As with all Auto-Sleeper models in the luxury range, each has a fully equipped kitchen. So, when you extend an invitation to dine, the Malvern is just perfect for entertaining. The luxurious bedroom with a memory-foam mattress and the spacious side washroom are key to this highly successful design. Thus, the bathroom incorporates a loo, sink unit and separate shower. In fact, there is enough space to use it as a changing room as well. 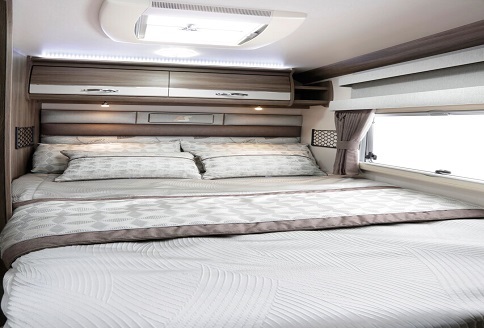 Many great features are standard in an Auto-Sleeper Malvern. Bluetooth and USB connections are good examples. With the support of the Mercedes Benz chassis, the Malvern is a joy to drive. Having the option, via the Premium Pack to upgrade the gearbox to 7 speed automatic and paddle-change is a huge bonus. However, to some customers, this is not as important as the luxury Belgian fabric options or furniture finish of which there are choices. In fact, anyone who has driven the latest, executive style, Mercedes Benz will know all about the power, comfort factor and driver control. Staying in a luxury hotel provides an idea of the luxury that is home in an Auto-Sleeper Malvern. 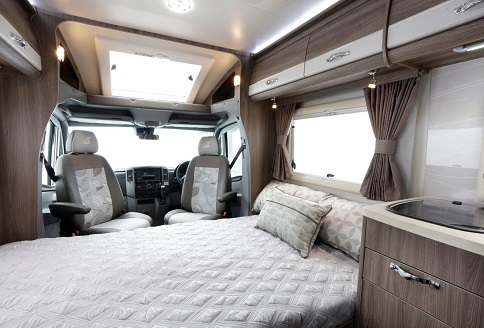 So, a 2019 Malvern truly eats up those journeys and has passenger comfort as standard.